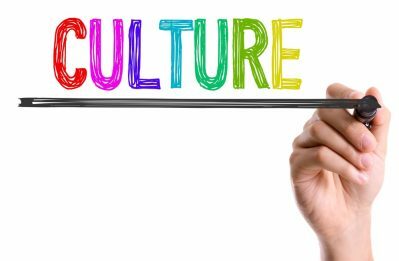 Culture can be defined as an evolving set of values, beliefs, and attitudes. The culture of a business affects every single aspect of how it operates. It is basically ”the way we do things around here” and how decisions are made. A business culture is at the heart of whether a company is innovative or development-focused, value-driven or indistinct, risk-averse or risk-takers – the list is endless. It’s the values that an organization lives by and is ultimately one of the things that can make or break a business. On the other hand, a perk typically consists of something that can boost employee morale and help them perform their duties more effectively. Employee perks are the extras offered in addition to standard benefits. Traditional perks may include a company car, travel fares, and special access to premium hotel suites while the latest package of perks could include gym memberships, summer holidays, and offsite team building activities. People often mistake perks for culture. Many are lured to join a company with gourmet catering and unlimited vacation, only to find that most employees in the enterprise are either frustrated or detached? Let’s ruminate on perks for a moment. Sure, a fully stocked refrigerator or regular meal outings is a whole lot of fun, but how is it supporting your culture? Is it encouraging teamwork or generating circles? In the same way, it is a worthy gesture to offer free dinner if employees are working late, but is this really a perk or an incentive to make people work beyond their regular hours? With that being said, it is imperative to understand a good culture is created because employees like being in the workplace and derive pleasure doing their jobs. Perks cannot be used as a substitute for organizational culture. This simply means you cannot sit back and let gym stipends or onsite massages be a gateway to all organizational problems. Even though perks make the workplace a lot more fun, studies have shown that employees are really looking for recognition, and the ability to add value to an organization. Do not be mistaken; perks are not bad. In fact, they enhance the culture. The major problem with them is that they are often presented as a recruitment technique rather than as an improvement of culture. What do free lunches or complimentary laundry services mean if there is low turnover or employee unhappiness? Instead of concentrating on the latest perks, leaders and managers need to prioritize cultural elements to create a framework for employee engagement and satisfaction. What Are Employees Really Looking For? Twenty years ago, employees associated job satisfaction with vacation time, retirement plans, good salaries, and medical benefits. All these factors still matter today, but workplace perks have assumed a whole new meaning. Modern employees are looking for an environment that will enhance their work experience and make their job more enjoyable. Businesses should never confuse culture with a free ice cream bar or a pool table in the common room. At Bamboo HR, 82% of employees are quitting due to problems with management, lack of recognition, and little room for movement. The key reason behind this is because the leaders confuse nature and nurture, which has a direct influence on individual’s behavior and the overall culture within the company. In simple terms — as cool as it is to have a pool table in the office, it is not the antidote to all the problems facing employees and the organization as a whole. Today, respect means more than just a career or a stable place of work. Employees want to be respected and valued as assets to the company rather than just as service providers. According to a recent review, it was found that treating employees with respect was more important to them than appreciation. Leaders are therefore faced with the task of promoting a culture of respect by acting as role models and looking out for their employees. The trick lies in finding the balance between perks and each and every other value that means something to workers. Just as bad an unflawed culture is, lack of employee recognition will almost always lead an employee down an unproductive path. Employees are far more likely to stay in a company if they feel their contributions and efforts are being valued and appreciated. By providing them with long-term growth benefits and prospects, you are maintaining their morale and boosting productivity levels. Putting some thought into employee recognition goes a long way into realizing a company’s goals. Imagine a job where your effort isn’t appreciated; your work is disregarded, and you could be replaced in a flash. Not exactly the place anyone would want to stay, is it? As a manager, this isn’t the type of environment you want to encourage. So, one of your most important responsibilities should be making employees feel truly valued. A big part of feeling valued occurs when employees are aware that their presence adds something to the company that no one else can. Culture plays an important role in the kind of workforce you attract and retain. Perks will not make up for a bad culture. If your culture is bad, you will still have problems attracting and retaining the right talent. The people that will thrive in your culture are those whose values resonate with those of the company. Rather than spending money on offering the latest perks, use it instead to ensure you have a company culture where the workforce actually wants to come to work because the company’s culture aligns with their expectations. 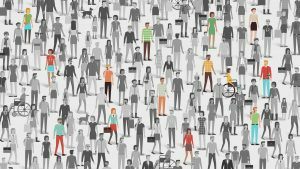 When you put them under the radar, perks mean very little when compared with culture and instead are often used to plaster significant persistent problems. Of course, unlimited holidays and fun stuff are going to have an important place in the work environment, but the regular free lunch outing in isolation isn’t going to cut it. 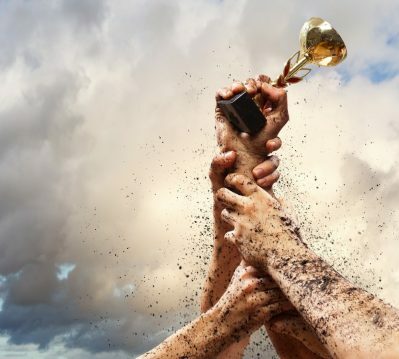 Leaders need to consider the broader reward package, how it signals what is important to the business and how it boosts an organization’s culture. It is, therefore, imperative to reward people based not only on the metrics of performance but also on feats and alignment to values. This is the most important way of reinforcing cultural norms. 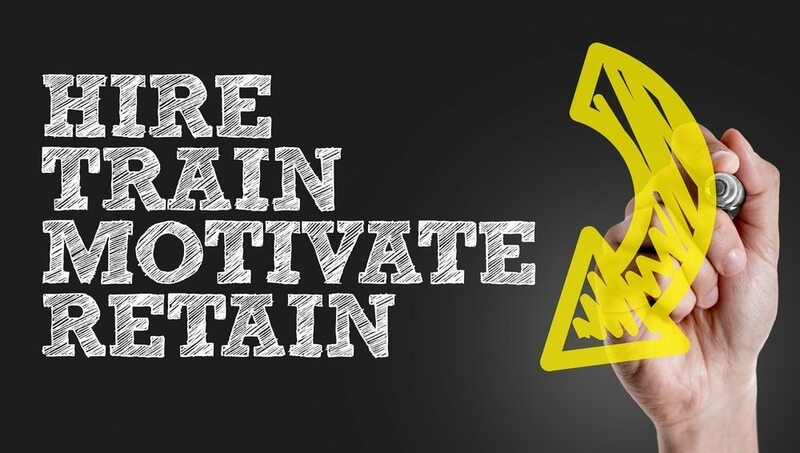 The standard rewards don’t offer any interpersonal motivation or challenge, don’t have a direct impact on the material success of a business and are often short-term. The longer you try to espouse a culture with perks alone, the more you harm the company. You will have high turnover in the workplace, but you will be recompensing rewards that do not fix the real problem. A disengaged workforce will cost the company in errors — according to Harvard Business Review, a healthy culture saves a company up to $300 million when compared to another company of similar size but with poor culture. Ultimately, it is imperative to understand that perks do not go hand in hand with culture. A good culture is created when employees love being in the workplace and working together with other people. When culture is the central point of your reward system, then building a culture becomes a higher priority than the perk. Find out what motivates your employees and work towards building a culture that satisfies their needs. Employees enjoy working at the company because of the enjoyment in and of itself. In addition to improving loyalty among employees, perks can be a great tool to promote your company’s values and mission. If your firm has invention as a value, you can consider offering an entrepreneurial speech sequence. By so doing, you demonstrate the commitment of the company to its values and encourage employees to be aligned with these values in their lives. Correspondingly, it is important to note that perks cost money so they should always be offered in a way that is sure to add value and meaning to them. When you think of companies with great organizational culture, it is easy to focus on perks. The silver lining here is that perks do not define a good culture. It is not about setting up a ping-pong table or offering free vacations. A few choice components cannot piece together a distinctive culture. Culture is something that is built on mission and vision, and everything else including perks sprout organically from its foundation. To put it in simple terms, perks have their place, but nurturing a great company culture is definitely more important. The best perks are those that reverberate with both individual and collective performance. At the time of sourcing for perks, you need to understand how they fit with your cultural foundations. The simple act of offering people free things doesn’t necessarily make them more involved or inspired. A sense of pride, recognition, and alignment to values is always far more important, especially if cooperation is the fundamental element. 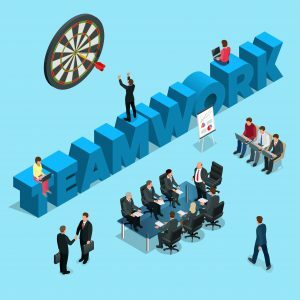 For instance, if you want to enhance teamwork, organize team events rather than rewarding high performing individuals. If you want to improve personal flexibility, introduce gym memberships or health conscious foods. When making hiring decisions, it is important to not only look at the technical skill and ability to learn but also the candidate’s cultural fit and long-term talent requirements. This doesn’t necessarily translate to hiring robots — it is about identifying the right people who share the vision of the organization. However, attractive perks can stand in the way of the recruitment process. You may end up bringing people that can do serious damage to your company brand and customer experience. Ultimately they will leave, as they won’t feel engaged: yet all these could have been curbed in the recruitment process. If employees don’t fit your culture, they don’t belong to your company. Perks are an integral part of Zappos’ everyday culture. These include access to free lunches, vending machines, game rooms, nap rooms, reduced prices on coffee as well as reimbursements for endurance events and membership to weight programs. Zappos has increasingly gained popularity due to its great culture. Employees live and breathe by a workplace culture, which is built upon a strong set of company values. It all starts with a cultural fit interview process, which carries a significant percentage of the weight of whether a candidate is hired. A qualified candidate goes through a three-stage process after applying for a job- a recruiting phone screen phase, a technical phone screen phase, and a two-time on-site interview. The thorough recruitment process ensures that the candidate who has the right skills and is a culture fit for the company is hired. A host of benefits and a workplace that is fun and dedicated to making customers happy all fit into Zappos culture. Employees at the company claim that serving customers comes naturally to them. This only goes to show how a great company culture cultivates excellent customer service and a great brand. The new generation workforce attaches a lot of importance to aspects such as values, vision, and mission. Companies that fail to give priority to these trends risk being pushed out of the competition. The next time you are tempted to buy a ping-pong table for your communal workplace, remember this: culture originates from values, not material objects. If the acquisition doesn’t build your company values, it is just not worth it.